Pick-up time and points will be given at the time of reservation. Races are held on most Wednesday evening, Saturday / Sunday afternoon. The pageantry and excitement of world-class thoroughbred racing comes alive each season at The Hong Kong Jockey Club. Not only does it thrills most of Hong Kong's highly demanding residents by providing first-class entertainment, it also is a key sightseeing program for visiting dignitaries and tourists. International stars, local heroes and a formidable line up of professional talent bring the best of racing entertainment to the Happy Valley and Sha Tin Racecourses from September to July. Hong Kong's first official race meet was held at Happy Valley in December 1846. 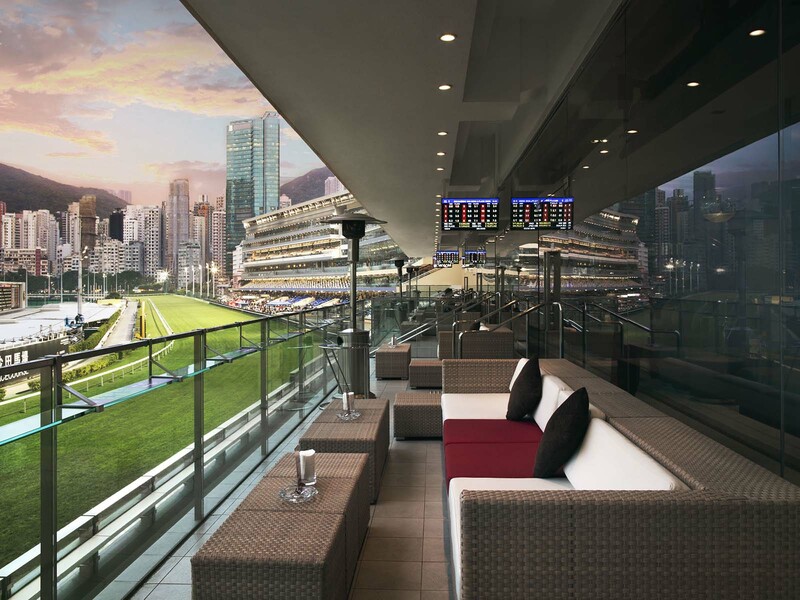 Since then the Hong Kong cityscape has grown up around the track, making Happy Valley one of the few in-city racecourses world-wide. During racing season, fans enjoy the popular mid-week night racing and on weekends, an exciting afternoon of racing entertainment. ​Sha Tin Racecourse, with its Penfold Park complex, is situated in the country park ambience of the New Territories. Opened in 1978 as a world-class racetrack, it hosts today several international status races and attracts star racing competitors from around the world. The tour will leave earlier in order to avoid traffic congestion. Cancellations, refund and transfer of badges are not permitted. (2) Hold valid overseas passports. Please present and bring along passport upon registration and during the tour. The Hong Kong Jockey Club reserves the right to request for identification anytime. Participants must present proof of passport and payment receipt from the tour guide for admission badge. Tour fee is non-refundable should participants wish to withdraw from the tour. Admission badge is non-transferable. Schedules and timetables are subject to changes without prior notice. Dress code: Smart casual (singlets, shorts and flip-flops should not be worn). Visitors entering the racing boxes should not wear blue jeans, T-shirts, tracksuits, singlets, shorts, overalls, sport shoes and flip-flops. Visitors not complying with the dress code will be refused admission to the boxes. Visitors are asked to refrain from using flash when taking photographs of horses at the racecourses.